What Is a Webinar? 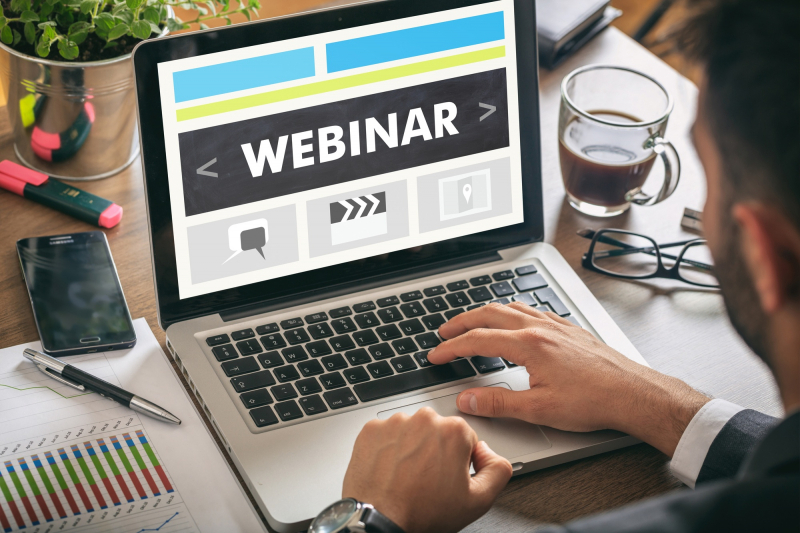 4 Tips for Creating a Successful Webinar Strategy - Powered by technology, our unique program uses software and algorithms to conduct a custom online competitive edge! Are you tired of hosting expensive in-person events? Perhaps you should consider webinar hosting instead. Webinars are inexpensive, and just like in-person events, they'll help to build your brand, cement your market position, and boost lead conversions. But that's not all. Webinars are flexible, have fewer distractions, and will give you an opportunity to reach your clients, employees, prospects, and stakeholders simultaneously. Research also shows that 20% to 40% of those who attend a webinar turn into qualified leads. That's sound like something you'd want to try, right? But what is a webinar? How do you create a successful webinar strategy? A webinar is an interactive meeting, seminar, or presentation held via the web in real time. Anyone with an internet connection and the right software can attend a webinar. Those who attend webinars can engage in discussions and share documents, audios, or slides. Want to incorporate webinar hosting into your marketing plan? The following time-tested tips will help you to come up with a successful webinar strategy. Who'll be attending your webinar? The answers to these questions will make it easy for you to come up with a relevant webinar strategy. About 25% of your audience will attend your webinar via their mobile phones. Therefore, you need to keep this in mind when coming up with a digital marketing strategy. You should increase the size of the texts and visuals in your webinar video. This will ensure everything is clear even on smaller screens. You should also ensure you pick a webinar software/platform that supports mobile devices. A webinar is not an opportunity for you to talk about what you want to talk about. It's an opportunity to educate your audience. It's essential to choose the right topics--a topic that your audience would be interested in. Knowing your target market will make it easy for you to identify an interesting and relevant issue. Also, make sure the person who'll host the webinar is an expert on the topic. Don't turn your webinar into an ad. Instead, stick to the topic and make sure your presentation delivers everything it promised. If you must talk about your brand or the solutions that you offer, make sure you do it when it makes sense. You can also provide your products or services as an add-on. This will let you advertise your products or services without annoying the attendees. So, what is a webinar? If you came across this question, you'd certainly give a correct answer. Webinars are becoming bigger and better. They're the future, and you cannot afford to ignore them. If you would want to give webinar a try, it's essential that you follow the tips highlighted above. They'll help you to develop a successful webinar strategy. If you have any question or are in need of our digital marketing products or services, contact us now.